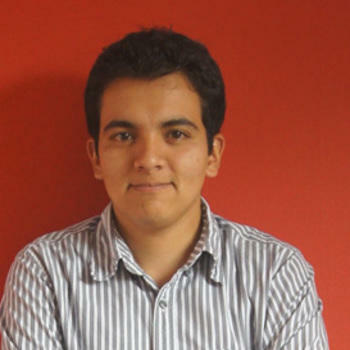 Alejandro, a systems engineer from Colombia, uses Treehouse to keep his skills in HTML, CSS, and web development sharp. He is applying the lessons he learns on Treehouse to real world projects and feels more confident than ever in his skills. I'm a 26 years old Systems Engineer from Popayán (Colombia). I've been working in the web industry since January 2011. I've worked for three agencies in front end and back end web development. I've worked with PHP, Python, Django, CSS3, HTML5, JQuery, Git for version controlling, grid systems and Twitter Bootstrap. Today, I'm working as a senior front end developer for a Costa Rica digital agency which opened a new office in Bogotá. The best thing about Treehouse is that you can apply all the lessons in your day to day work. Treehouse helped me with solving real life problems, for example, how I’m supposed to use Twitter Bootstrap in a real life project or how do I use Git and GitHub for managing my code. The best thing about Treehouse is that you can apply all the lessons in your day to day work. I like to download all the videos to iTunes, watch them and then do the coding exercises. I also like to do the exercises a few days later day but without watching the video. I can almost say that I have my dream job now. I'm doing what I love, and I'm becoming better and better day by day thanks to the solid foundation Treehouse has given me. Because all of the tutorials and complete series for Pro Members I feel more confident with both my office and freelance projects. I also have to say that my skills are increasing exponentially.